A group of legal practitioners have waded into the trending story of the trader who named his dog Buhari. The lawyers are of the opinion that Joe Fortemose Chinakwe did not commit any criminal offence. “I understand that a particular dog was named after a neighbour and both of them were not in good terms in a Hausa community somewhere in the South-West. “It may be offensive by examining the circumstances under which the incident happened. So expediency would have prevailed on him not to name his dog after somebody he was quarrelling with. “Anything you are doing must be with wisdom. The Bible says wisdom profited for direction. If such a thing would provoke unnecessary argument, you should avoid it,” Ubani advised. A Lagos-based lawyer, Mr. Tunji Muyedeen, in his opinion said, “As far as I am concerned, there is no way such offence could be sustained in law. “The motive of an accused is never and can never be established by the charge: it must be established by evidence. Anybody can name his pet after anybody’s name. He can even call the pet his name. “However, spurious charge or charges may be preferred against such person. We will see what evidence the prosecution has to prosecute the accused person. “All of us will be living witnesses to the trial of the man,” the lawyer stated. It would be recalled that the trader had explained that he had been an ardent supporter of the President and saw nothing wrong with his action. The 30-year-old trader was on Monday remanded at the Ibara Prison following his arraignment at the Ota Magistrate Court 2, Ogun State. 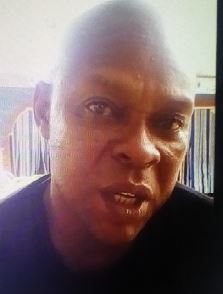 He was charged to court by the police with conduct likely to cause breach of the peace, in a case with suit number MOT/617c/2016 and the case was adjourned till September 19, 2016 by the Chief Magistrate, B. J. Ojikutu.